Ultra high precision slider in 6 foot (72 inches). Equipped with precision ground stainless steel runners and rollers, 360 degree lockable rotation, Mitchell top fitting and adjustable magnetic stops. 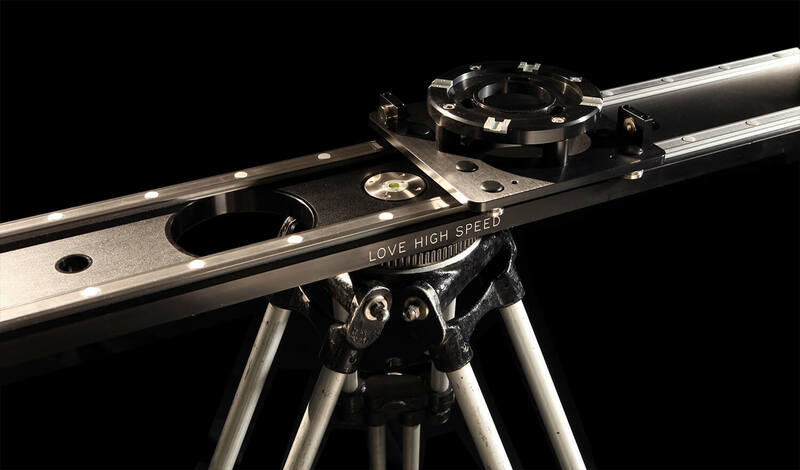 Monopod supports are supplied in the kit for additional stability.